Without sophisticated search engine algorithms, keyword usage was the easiest way to rank pages. The logic was simple: the more a keyword phrase was used on a webpage, the more likely that was what the page was really about. Unfortunately, SEO practitioners of the time took advantage of this system and used keywords unnaturally by overusing the targeted keyword phrase in order to rank higher. This method is known nowadays as keyword stuffing. This causes sites to rank for keyword phrases even when the site doesn’t have much to offer on a topic. A new way to look and evaluate sites on what ranks and what doesn’t was needed and should go beyond analyzing content alone. Google started in 1996 through a partnership between its founders, Larry Page and Sergey Brin. The search engine’s early ranking algorithm was based on the PageRank algorithm, developed by and named after Page while he was studying information retrieval at Stanford University. The main idea was to use links between webpages as a ranking factor. Feel free to read all about the PageRank algorithm. This is all public information and the PageRank patent is viewable for free online. It is a very technical document and readers may need more advanced programming and mathematical knowledge to comprehend it in its entirety. Instead of reading through all of the details behind how Google analyzes and evaluates links, it may be more worthwhile to understand why this algorithm even looks at links in the first place. A link or hyperlink is a clickable object on a webpage that leads from one page to another. Links may visibly appear as text, images, or buttons. We can classify links based on the destination of the link, whether it leads users to another page on the same site or a different website. 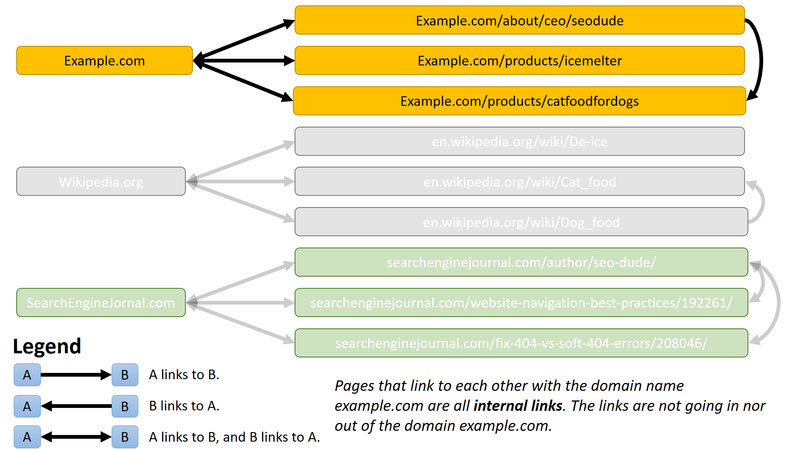 Internal links are links between the pages within your own website. Search engines determine this by looking at the domain name; if the links on a page link to other pages within the same domain, they are considered internal links. If, for some reason, your website was built to have more than one domain, search engines will view this as an external link. Inbound links are links that come from other websites or a different domain name. Outbound links are those links on your website that link out to websites with a different domain name. Out of the three types of links, inbound links are the ones with the greatest SEO benefit, but they are also the hardest to obtain. High-Quality Pages Are like Friends You Go to for Advice: They’re Trustworthy, Credible, & Have Some Sort of Authority on the Topic. Whenever any webpage links to another webpage, the creator of the content that used the link did it for a reason. Often, they like the page they are linking to because it has information that supports or builds on the information on the first page. On the other hand, some authors link to pages for the opposite reason; they may be linking to a page they want to criticize or don’t agree with. However, both of these links are good for the page being linked to. Whether the content is loved or despised, it has provoked a strong reaction, which indicates quality content. If the content of a page makes someone talk, it indicates authority, credibility and/or trustworthiness. Thus, links on pages are like votes of trust, credibility, and authority. The more links a page gets, the more votes they are getting, which can improve their ranking. However, the quantity of links that a page gets is not all that matters. Google also evaluates the quality of the links. Sometimes you identify fake people right away. Other times, it isn’t so easy. These are called artificial links. Sometimes, Google identifies that the links are fake right away, but not always. It can take Google a while to identify artificial links. These artificial links have negative consequences for the pages. The rank of these pages with artificial links can be hurt by various ranking factors monitoring link quality, as well as algorithm updates, or even manual actions from Google. In order to have good, natural links, a site needs quality content that is trustworthy, credible, and authoritative. This allows the pages to gain quality, natural links from other websites, which will help their ranking. In recent years, Google has implemented a series of important algorithm updates. One of these important updates was Penguin. Google’s Penguin update has now become an essential part of the core algorithm. The Penguin update allows Google to evaluate the quality of links more effectively. 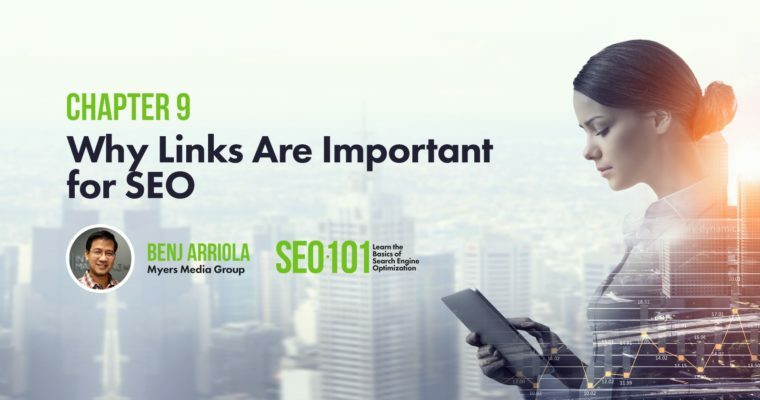 After this update, some SEO professionals were under the impression that links no longer mattered; however, this is not the case. Links are important in ranking and still indicate the same values as before. Links serve as a reflection of the quality of a page’s content as long as they are natural links. The Penguin update made it easier for Google to identify artificial links. Links have always been important ranking factors; however, the methods of obtaining links has evolved, especially after the Penguin update arrived. One of the important aspects of inbound links that search engines pay attention to is the anchor text of a link. Anchor text is the clickable text of a link or the alternative text of an image in image links. The anchor text helps give search engines an idea of the topic of the destination page. Historically, this was abused and made link bombing possible, which is simply using the exact phrase you want to rank for in all the inbound links’ anchor text from thousands of webpages, regardless of the quality or relevancy of the page. Many previous Google updates addressed this issue, including the Penguin update, where overdoing keyword-focused anchor text can appear unnatural and may negatively affect ranking. Ever since the Penguin update, there has been a strong focus on having natural anchor text in your inbound links. Naturally, when people add a link on a page going to your website, often the anchor text will be your brand or company name. Thus, if your keyword-focused anchor text is more in quantity than your branded anchor text, this might cause problems. It is best to have more branded anchor text. Not everyone thinks the same and it is highly unlikely that a lot of people will use exactly the same anchor text. If you keep optimizing for the same anchor text when trying to gain links from other sites and it starts to become the majority anchor text and it is not your brand name, this is highly unnatural. It is important to see some diversity in anchor text, even including generic anchor text like click here, visit here, website, etc. Inbound links are the most beneficial because PageRank gets passed on from other sites to your site. The more inbound links you get, the more PageRank you receive. As a chain of links hop from one page to another, the flow of PageRank gets weaker and weaker. In almost any website, the page with the most inbound links is the homepage of the site. Therefore, if a page within your site is too far from the homepage, the PageRank will decrease significantly before reaching the page. Help users navigate to the different pages of your site. Help search engines crawl your entire site with fewer hops as possible from page to page. Normal Site Navigation: Links that are usually located in a top bar menu, sidebar menu, and in the footer that exist on all pages. This is usually built upon your site architecture, on how topics are categorized and subcategorized to build out topics and subtopics from general to specific pages. Related Pages: A section of a page that points out other pages that are related to the topic of the page. This is beneficial to users because it helps suggest pages that the user was probably looking for. User Sitemaps: A sitemap is a single page that links out to all other pages of the site. Based on usability studies, there are three types of people that navigate a site: those who use the normal site navigation, those who immediately use the search box, and those who go straight to the sitemap. For very large sites, sitemaps can be overwhelming and in cases like this, the sitemap may just contain the main category areas and not necessarily every page of the site. In-Content Links: Within the content of a page, links can be added to the words within a paragraph. This is under-utilized by many websites, but in other cases, it can also be over optimized, which can have negative effects on SEO. Just link naturally, and have the user in mind when building links like these. Even if we’re emphasizing to use internal links in the distribution of PageRank, always make sure the users are the highest priority. Always design sites, and think of internal links for users first, then search engines second, and learn all best practices on internal site navigation. Over the years, SEO pros have evolved how they use outbound links. Some believed that outbound links took away PageRank, decreasing its potential to rank. For some number of years, this may have been correct. This is where terms like “PageRank hoarding” and “PageRank channeling” came from. Any outbound link was the equivalent of a leak. But if an outbound link was necessary for users, you could add the nofollow link attribute. However many SEO practitioners abused this until Google came up with an update in 2009 on PageRank evaporation. Don’t have too many outbound links: In theory, the whole reasoning of PageRank leaking still holds up to today. However, every once in a while you may find sites with tons of outbound links and yet the page still ranks high. Thus the rule here is just doing what seems to make sense. Don’t always nofollow all outbound links: Adding a rel=nofollow attribute to links on the <a> tag tells search engines to not credit that link for ranking purposes. It makes sense to always add the nofollow to avoid PageRank leaking to other sites. However, overdoing or over-optimizing it just doesn’t appear natural and the intent appears to really be hoarding PageRank. Good quality sites tend to link to good quality sites: Giving links is just as important as getting links. Good quality sites are maintaining a level of quality that made them who they are, thus if these sites are going to link out to other sites, they’d choose a good quality destination, too. Since this is a common behavior on good quality sites, might as well replicate that behavior to help show signals to search engines that you are a good quality site too. In all these three bullet points, the rules may appear conflicting. No outbound links preserve PageRank, but no links at all look fishy. Adding a nofollow should help preserve PageRank, however, if links are all nofollow, they look more unnatural. Conventional wisdom taught us that outbound links leak out PageRank and that is still true today, but it is recommended to link to good quality sites. The rules here don’t seem to be set in stone and is somewhat flexible, but the main rule that is valid and applies to all rules above is to appear natural. Link out to other sites if it is the natural thing to do. Links have been an important part of SEO. They still are. And it looks like it will still be important in the years to come. However, like many other things in SEO, how optimization was done in the past is much different compared to how it is done today. We classify links as inbound links, outbound links, and internal links. Inbound links provide the largest impact since they are like votes of trust, credibility, and authority that help out in ranking, but it is important that these inbound links are natural links and come from high quality, relevant sites. Internal links help distribute PageRank from the inbound links to other pages of the site to help improve ranking on many other pages. Furthermore, internal links aren’t only about search engines. Always serve the users first. 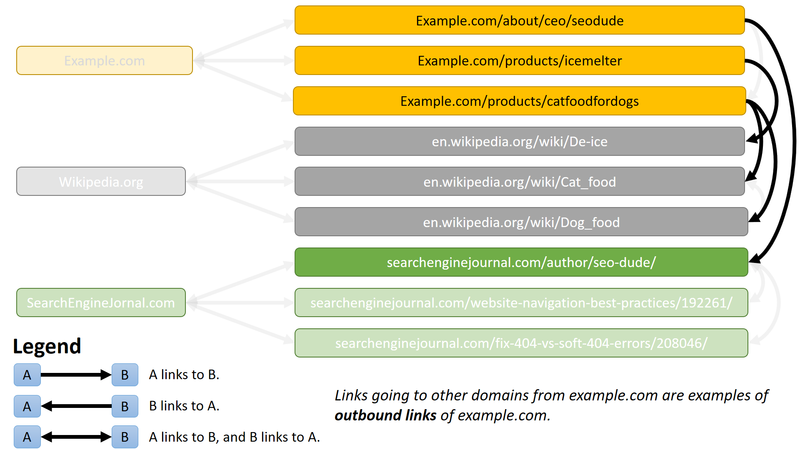 Outbound links should just be used in a way that appears natural to the user. Linking out to high quality sites will help show these signs and also help associate your site with higher quality sites. 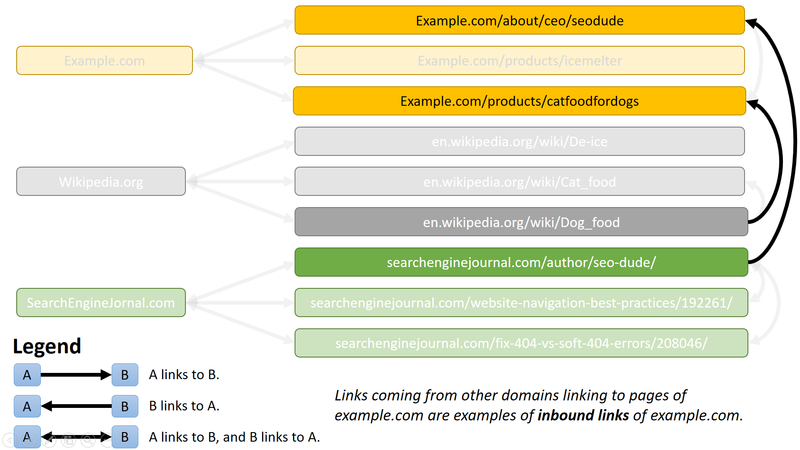 If there is one single theme across all these types of links, it will mainly be link naturally. If it looks bad to humans, most probably it looks bad to search engines.